This is a used copy. See images at the bottom of this description for the exact condition of this product. - More Hows? Whys? and What-fors? 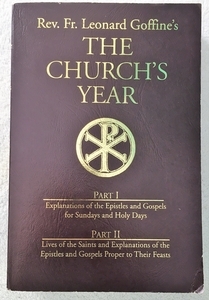 The Church's Year follows the calendar in effect at the time it was first published (1880), and the explanations are written in a very edifying manner that we don't see today. Totally re-typeset.